Harrogate Ladies’ College is a leading UK boarding school for girls based in the heart of Harrogate, North Yorkshire. We have been a boarding school for more than 100 years and with more than forty percent of our students boarding, it is still at the centre of our whole school community today. We have a flexible approach to boarding to meet the individual needs of our pupils and their families including termly, weekly and ad hoc options. We don’t have any fixed exeat weekends because our families often find them inconvenient. For us, boarding is centred on the concepts of “family” and “home”. 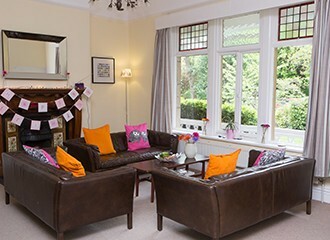 Our boarders live in traditional family homes; they have an extended family of boarding staff to care for and support them; and are surrounded by a wonderful array of boarding “sisters” of all ages. We believe that it’s important for our boarding and day girls to be fully integrated and to share the same school experience. Our boarders leave their boarding houses before breakfast and have all of their meals in College alongside the day girls. They do their early evening homework, (or Prep), in College and return home to their boarding houses after dinner – when most of the day girls return to their homes as well. 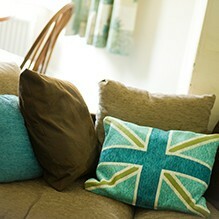 We offer a truly modern and unique, British boarding school experience. 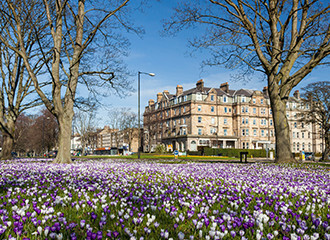 Girls live in a quiet, safe residential area of Harrogate, yet are just a few minutes’ walk from the cosmopolitan town centre, and a short drive from the stunning North Yorkshire countryside. With an organised weekend programme of trips and activities there’s always something going on and something to get involved in. 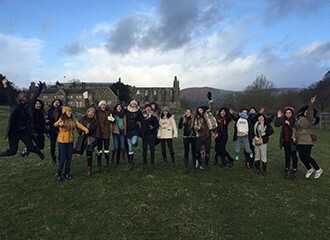 Boarding at Harrogate Ladies’ College is a unique life experience. It is a warm, nurturing, family environment which enables girls of all ages to build confidence, independence and lifelong friendships.